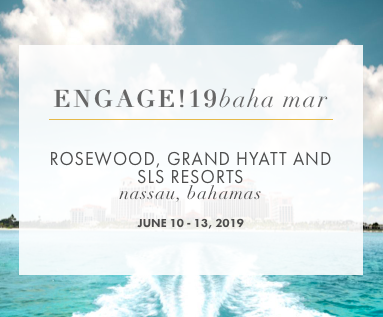 I’m excited to announce that I’ve has been invited to speak at Engage!19 in the Bahamas. While we’re still finalizing the details my session, I look forward to sharing my experience and business acumen with Engage! attendees hoping to grow their luxury wedding business alongside of so many other amazing leaders in the industry. There are still a few spots left at the conference and if you’re in the wedding industry, Madeline and I would love to see your smiling face there! You can learn more and register for attendance here. Hope to see you in the Bahamas!